IntroducingRare People; a series where we will hear all about what the people of Publicis do when they’re not busy makingads. Big shoutout to Wes for photos. Lorelei Mathias, Senior Creative and talented Writer/Performer, is this week’s feature in the 2nd edition of Rare People around 82 Baker Street. How did you first get interested in comedy? In 1985, my brother had trouble saying my name so he called me Lol. I was five and about as funny as a cabbage, but the name stuck. Years later the internet happened and with it, chat-speak. Soon I was at pains to qualify every introduction with ‘it’s not because I think I’m funny’ as I was so shy! 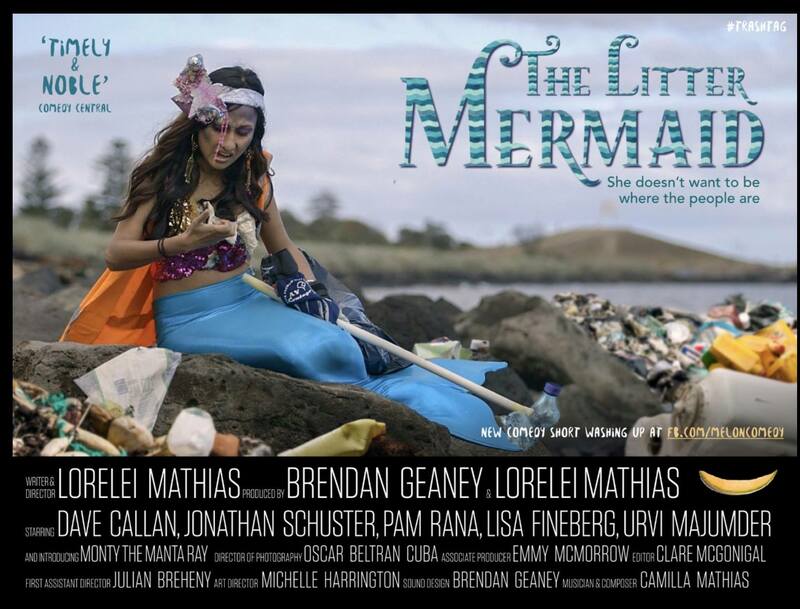 My latest Comedy Short, ‘The Litter Mermaid’ is coming out in 2019. It’s the story of the plastic crisis in our seas, and the impact it is having on the mermaid community and their King. You can watch the trailer here. It’s the first thing I’ve ever written and directed, and it was the nodal point of all my favourite things – comedy, swimming, and serendipity. 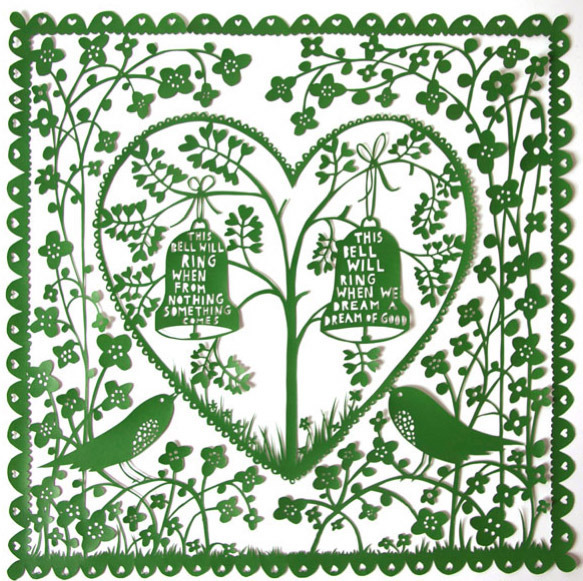 I want to say the massivest thank you to everyone that helped make this. From the old friend I’d known since I was 21 who literally IS a mermaid, the beautiful Lisa, to the new friends that stepped straight off of Ramsay Street to produce and crew the thing up thanks to Brendan… to my bonkers genius housemate Michelle who dressed the set and the entire mythological population on nothing but a fin-string and made ‘spoofy condoms’ out of mayo. Basically, it was one of the best days of my life. Which was why I was a touch blown away the next day when I was out walking with my adorable nephew in Brighton Beach, just a few shores down from Elwood where we’d wrapped 12 hours before…and we were playing the ‘hunt the lost flip-flop’ game that I often play as someone with ADHD who sunbathes on boardwalks – when we both looked down and saw this freakish message, carved into the rocks. ‘I AM A MERMAID. HELP.’ Of all the rocks in all the world… it really did seem like someone out there was ‘winking’ at us. or that the seas really have reached peak Plastic and they’re sending us a message… in a plastic bottle. Alana speaks… Literally stumbled across this the day after shooting the film, in Elwood/Brighton Beach. Truly, the seas are trying to tell us something. King Neptune and his team have been glorified maids of the sea for long enough, they’ve got zero job satisfaction and they are over it. Soon there’ll be more plastic than fish… but do the Human Resources department give a cr*p? Find out in The Litter Mermaid – a comedy about plastic, a tragedy about our world, and the melancholy fact that there’s now an island of plastic the size of France in our oceans. Shot on location in Elwood Beach, Melbourne it’s the next film under fledgling channel Melon Comedy. It features shocking new footage of polluted oceans in Indonesia, from Rich Horner The Rubbish Diver, and with a cast & crew from Melbourne, London & Bali’s Comedy scene, and a cameo from my aquatic alter ego, mermaid Loreley. To see the full film when it comes out, Like fb.com/meloncomedy before Feb 2019! Written & Directed by Lorelei Mathias. Additional dialogue by the cast, Anthony Noack, and John Campbell. Composer, musician & vocalist & original score ‘This Time That Is Mine – Alana’s Lament’ by Camilla Mathias.